FRANKFURT (Reuters) –- BMW Group marked a new sales record for April, increasing volumes by 6.1 percent to 145,505 vehicles, driven by demand for its core BMW brand in nearly all regions of the world. Sales of BMW-brand vehicles rose 7.4 percent to 121,476, while Mini-brand volumes edged 0.2 percent lower to 23,789, the automaker said on Tuesday. "Following on from the best first quarter in the company's history, we have just reported our most successful April sales ever," Ian Robertson, BMW's head of sales and marketing, said in a statement. "We are well on course to achieving a record year in 2012." 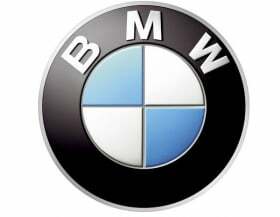 In China, the company's biggest single market, BMW reported group sales of 27,197 vehicles last month, up 30.8 percent. This was just five cars more than sales achieved in the No. 2 market, Germany, where volume rose 6.2 percent. Overall sales in BMW's European market fell 0.2 percent to 68,033, as the region continued to suffer a drop in consumer confidence caused by widespread economic problems. Sales in the United States, BMW's third-largest market, rose 6.1 percent in the same period to 26,793 deliveries. In the first four months, BMW Group sold 571,040 vehicles, a rise of 9.8 percent over the same period in 2011. BMW-brand sales rose 10.1 percent to 478,030, while Mini sales grew 8.6 percent to 92,000. Last week, BMW reported record first-quarter profit that rose nearly 19 percent to 2.13 billion euros ($2.80 billion) from 1.8 billion euros a year earlier.